Hang on in there - the UK recession may be over but the effects of it will linger for a while yet. From talking to numerous DJs around the country, many (although not all) are still experiencing a much slimmer diary than a few years ago. Not only are there fewer weddings but parties and corporate events have also taken a noticeable nose dive. This phenomenon can be credited to the recent economic crisis. To survive these difficult times and still be there when enquiries pick up, it's important to delve a little deeper into the 'why'. When the credit crunch first hit, there emerged the 'wedding package' at some hotels and venues. This was a desperate attempt to entice brides to book with them and keep their own business afloat. Many packages also included a DJ. Due to the low pricing structure of the package, all out sourced suppliers for these events had to be the lowest fee possible to make it viable. This is potentially a booking that would otherwise have been made by the bride and groom whose priorities would more than likely have been quality rather than the absolute cheapest (very few clients, when provided with a choice of DJs, will actually opt for the cheapest). Many hotels, given the choice, would prefer not to take on these additional responsibilities so as the economy improves, it is predicted that this type of package will become a thing of the past and the responsibility for booking entertainment will divert back to the client. With many people having to tighten their belt when planning a party or wedding reception, there has been a significant increase in DJs being replaced by iPods. This phenomenon has been fuelled by some hotels having sound systems and iPod docks installed in their function rooms and offering this as an option. As with most bad ideas, iPod entertainment will eventually run out of steam and be considered as a very poor substitute for a professional DJ. If an engaged couple attend an iPod wedding, it's extremely unlikely that they will choose it for their own function; hence this cycle of events will result in fewer iPod weddings and more enquiries being generated for DJs. During the credit crunch, many companies have slashed their entertainment budget which has resulted in a considerable decrease in corporate functions. This year was bound to be significant to the wedding market. Some brides and grooms viewed the '13' as unlucky and not the best year to tie the knot; hence another explanation for the dip in the wedding market. If you've had a pay freeze or your job is precarious because of the economic crisis, you are very likely to be mindful of spending. Many couples have delayed their weddings or postponed big family parties as a result of this. 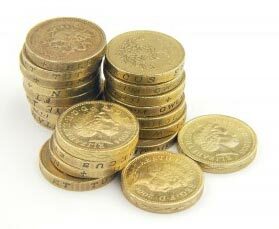 As the money situation improves, there will be a significant increase in the number of weddings and parties being planned and ultimately enquiries will be on the increase. Throughout history, there have been economic dips. After each crisis comes a financial boom. It will happen, and when it does, there will be a 'feast' after the 'famine'. Those DJs who have weathered the storm and stayed in business will suddenly find their diary is bulging at the seams! So...... hang on in there! 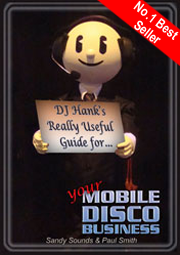 PS For further advice on marketing your mobile disco business, preparing for the upturn and much more, take a look at 'DJ Hank's Really Useful Guide for Your Mobile Disco Business'. A free preview is available here. DJ Hank's book is a Number One Best Seller on Amazon! Take a look inside by clicking the cover above... all profit from sales will go to charity. Peterborough - EV Open Evening in conjunction with Inspiration Sound & Light. 23rd July. Glasgow - Next meeting scheduled for September. "As sure as the spring will follow the winter, prosperity and economic growth will follow recession."